This is the same telescope is the FSQ-85EDX, but includes the 1.01X flattener as part of the standard telescope assembly. This is the same unit designated as FSQ-85EDP in Japan. This is the same telescope is the FSQ-85EDX, but includes the 1.01X flattener as part of the standard telescope assembly. This is the same unit designated as FSQ-85EDP in Japan. If you already own an FSQ-85EDX, you may order the flattener via part number TKA37582. 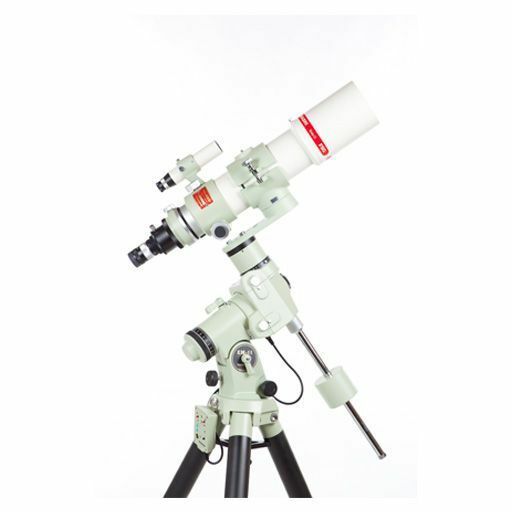 The Takahashi FSQ85-ED is the most portable member of the FSQ Series of flat field astrogrpahs. This refractor telescope was designed from the ground up for digital imaging, and is the go anywhere portable astrograph. Easily airline transportable at 12.68" collapsed, the "Q" will fit under under an airline seat or in an overhead compartment. It weighs less than 9 lbs, so a smaller high quaily mount will support it. The FSQ-85ED also features a newly designed focuser with a built-in fine focuser, made for imaging with medium format CCD cameras. 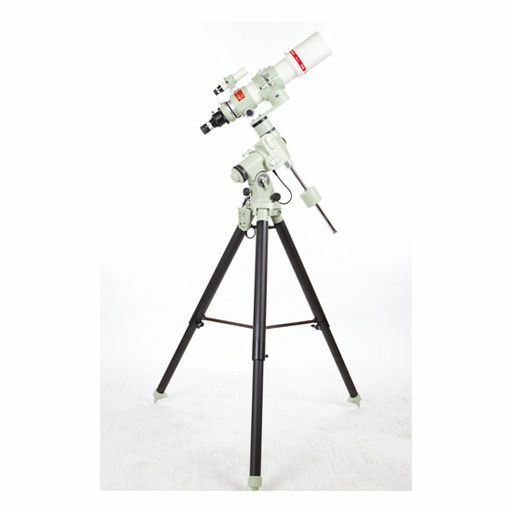 This 72 mm focuser has been designed to handle CCD and digital SLR cemeras with great rigidity. In addition to being a first rate astrograph, it has been designed to be an excellent visual instrument as well. With over 200 mm of back focus, it can acommodate any combination of diagonals or a bino viewer. Color correction from the near UV to the near IR insures tight stellar images across the entire color range.